Finnish shipyard Nautor’s Swan and BMW present exclusive, unique specimen to mark milestone anniversary. 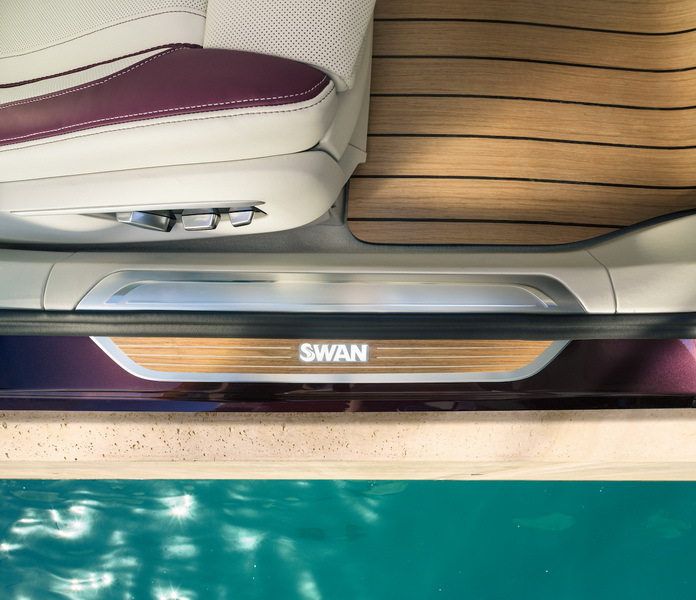 Luxury and high performance: Nautor's Swan. Over the past 50 years, the renown of Nautor's Swan has spread beyond the world of sailing and is understood to be synonymous with luxurious, high-performance yachts. BMW and the Finnish yacht designer and manufacturer share a partnership of many years’ standing. The two brands appear together at prestigious regattas such as “Les Voiles de Saint-Tropez”.This cooperation has produced a one-off model to celebrate the 25th anniversary of BMW Individual, combining the best of both worlds. The result: The BMW top model M760Li xDrive V12 Excellence, inspired by a glamorous sailing yacht. Yachting atmosphere on board. A brief glance is enough to reveal the yachting inspiration behind the unique BMW Individual M760Li inspired by Nautor's Swan. Cooperation partner Nautor's Swan produced some elements for this special model by hand at their workshop in western Finland. These include teak panels with joints filled precisely with a fine layer of rubber. This allows the wood to expand and contract with changing temperatures. This is particularly sensible for the deck on a yacht –but also in a car. That is why this carbon-bonded wooden component graces the boot floor in the BMW Individual M760Li inspired by Nautor's Swan. The boot is also intricately fitted out in Alcantara Smoke White. The interior trims, entry sills and floor mats are also made with teak and have been produced by Nautor's Swan. You can feel and see the yachting flair in every inch. This is enhanced by the presence of the Finnish brand’s insignia. The Nautor's Swan signet is stitched into the headrests and cushions. It also adorns the sun visors and interior trims made of European oak on the driver’s side and the central console. Elegant and discreet exterior design details. The cooperation between the two brands is also apparent on the exterior. The brake calipers on the BMW Individual M760Li, which are exclusively finished in the same colour as the car, each bear a sublime, raised Swan logo, which is manufactured in an extra procedure. The boot lid of the car is also decorated with the Nautor’s Swan arrow, which is usually to be found on the side of the yachts. By way of analogy, the side of the car features a coachline, underlining its luxury quality. Based on the BMW M760Li xDrive luxury limousine. The starting point for such a special car was none less than the already impressive BMW M760Li xDrive V12 Excellence. It has an exterior finished in the special BMW Individual colour damask red and a two-tone fine-grain Merino leather interior in smoke white and Criollo brown. The same is true of other features finished in leather, such as the footrests in the back of the car. 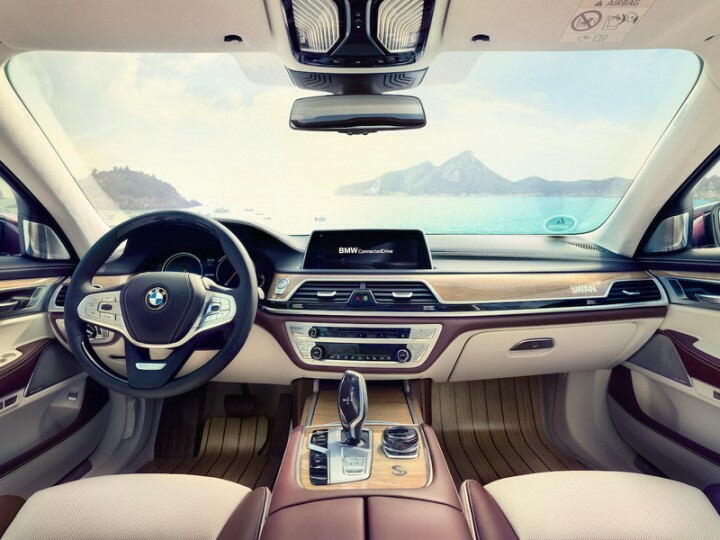 BMW Individual takes the full leather interior to the next level, integrating top-quality BMW leather varieties into the trims for the A and B pillars, seat trims, door sills and the side covers for the instrument panel. The vehicle manual is also produced inside the Manufaktur and bound in Criollo brown Merino leather. Sporty street performance with maximum comfort. engine provides plenty of drive. A cubic capacity of 6.6 litres allows the engine to perform at 448 kW/610 hp and provides maximum torque of 800 Nm. The high- performance engine lets the car accelerate from 0 to 100 km/h in 3.7 seconds. In conjunction with the modern 8-gear Steptronic Sport transmission, the matchless characteristics of the V12 engine provides plenty of sporty yet controlled thrust. The innovative Executive Drive Pro chassis system also combines The interior trims, entry sills and floor mats are also made with teak and have been produced by Nautor's Swan. You can feel and see the yachting flair in every inch. This is enhanced by the presence of the Finnish brand’s insignia. The Nautor's Swan signet is stitched into the headrests and cushions. It also adorns the sun visors and interior trims made of European oak on the driver’s side and the central console. 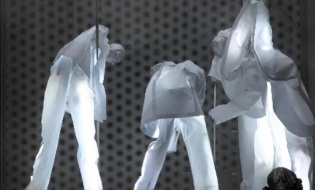 BMW’s elite models share their identity and attitude. The car presents itself as part of a distinct BMW product category creating a new presence for its luxury cars. The identity and attitude shared by BMW’s elite models, including the BMW 7 Series as well as the new BMW X7, BMW i8 and new BMW i8 Roadster, are echoed in a newly designed logo which combines a black- and-white version of the manufacturer’s roundel first used 100 years ago with the company name “Bayerische Motoren Werke” written out in full. With its classical, understated aesthetic and the company’s original name spelt out, the logo highlights BMW’s inimitable history. The BMW Individual M760Li inspired by Nautor's Swan has celebrated its debut at the Frankfurt International Motor Show 2017.